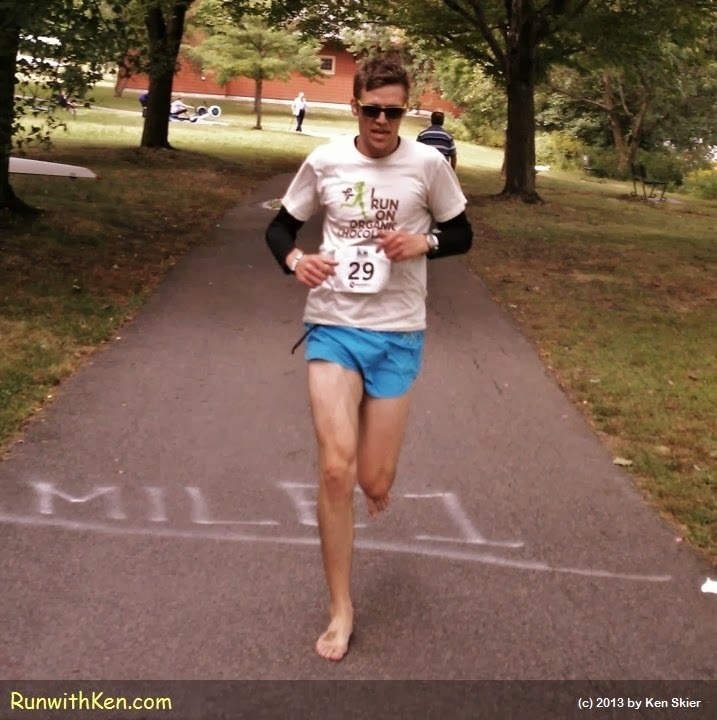 This runner has the PERFECT name: Miles! At the Boston Barefoot Running Festival 5K. Yes, his name is Miles. Miles was just behind me when I took this photo. I was running, too, in a terrific 5K for barefoot runners. this photo, he sprinted past me like I was standing still!